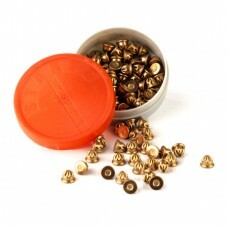 Our wide variety of pyrotechnic cartridges can handle any job! 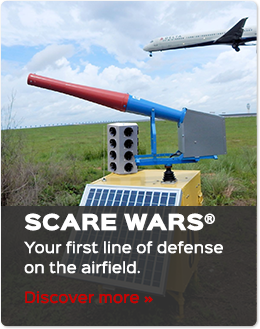 Whether you are moving robins from your strawberries, geese from your golf course, gulls from a landfill, or starlings from an airfield, the Scare-Away line of pyrotechnics has a cartridge that is suitable for you. 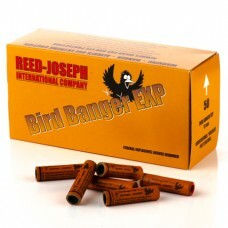 Our Bird Banger and Screamer Siren cartridges have no licensing requirements. 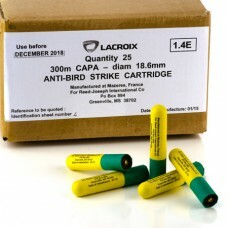 For those with ATF Explosive Permits, our Bird Banger EXP, ShellCracker, and CAPA cartridges are perfect for more difficult jobs. Either way, Reed-Joseph’s got you covered! 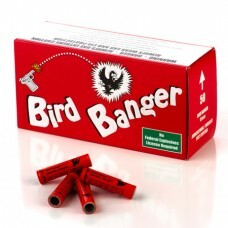 Get more bang for your buck! 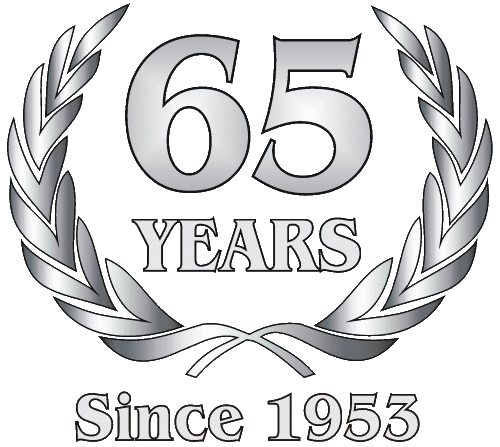 Since common carriers add a hazerdous material surchage for shipments of pyrotechnics, our minimum shipping and handling fee is $48 for all boxes containing pyrotechnics. Reduce your per-cartridge cost by ordering larger quantities. 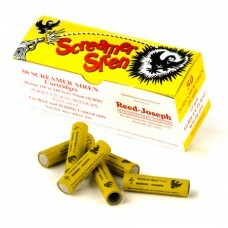 For example, shipping and handling for a 100 round order of pyrotechnics will equal 48 cents per cartridge. 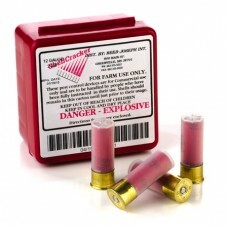 A 200 round order will drop the cost to 24 cents… and we can ship as many as 3,500 rounds in a box! Call our staff to learn how you can get more bang for your buck!